Congratulations to Kaitlyn Albertoli for being named this week’s OC Varsity Athlete of the Week. The sophomore sprinter blazed to victory in the 50-yard freestyle in 22.91 seconds, which was the second fastest timein Orange County history. 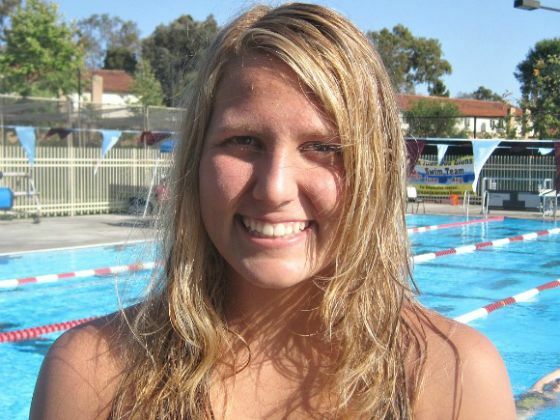 She also captured the 100 freestyle in 50.32 seconds, seventh in county history, at the Trinity League finals at JSerra. Both times were Trinity League records. For more information on the JSerra swim team visit them on Facebook.